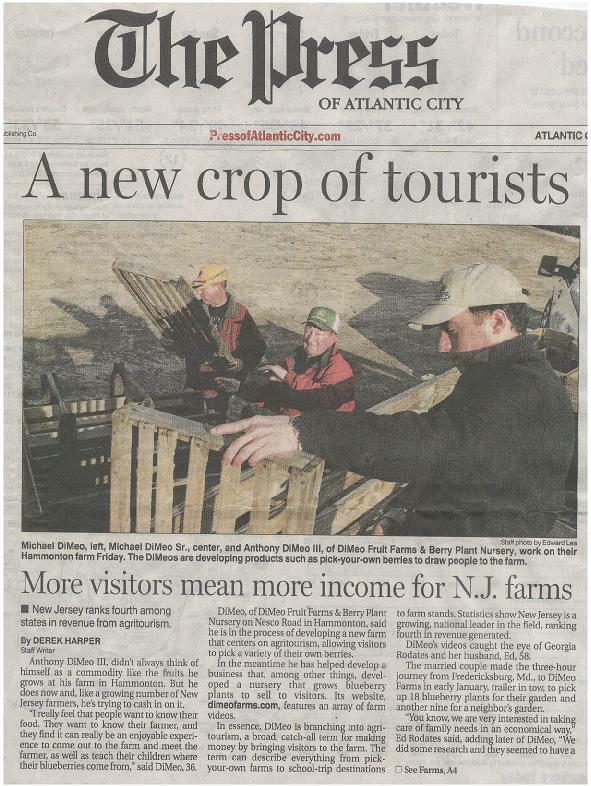 Three generations of living DiMeo family farmers were featured working together on the front page of The Press of Atlantic City. The media contacted us and asked to interview us at DiMeo Farms in Hammonton, New Jersey. We are proud to promote New Jersey blueberries and continue the DiMeo legacy of growing the best tasting blueberries using old-fashioned time tested berry growing methods started by the very first generation of DiMeo farmers that started growing blueberries back over 100 year ago when the DiMeo family came over from Sulmona, Italy to settle in the Town of Hammonton.